At least half of the fun of LittleBigPlanet 3 (and other LBP games) is dressing up your adorable Sackboy or Sackgirl. Developer Sumo Digital is well aware of this indisputable fact, and ensures that players are never short of costume and styling options. Their latest costumes dropped yesterday, this time focusing on the villains of Teenage Mutant Ninja Turtles. 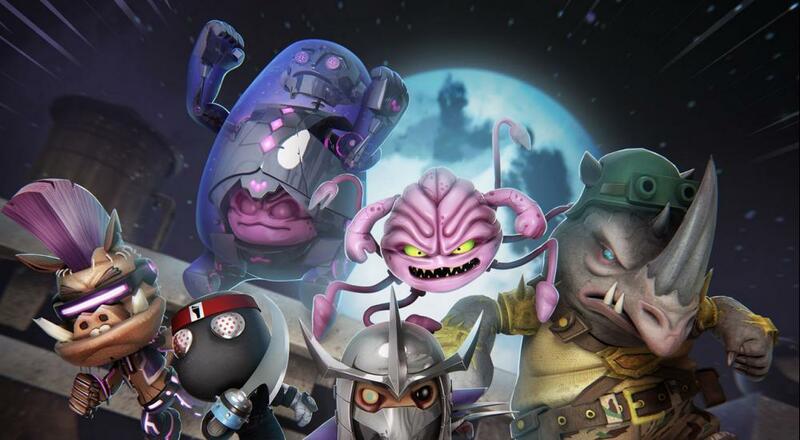 LBP3 players can now purchase costumes for Shredder, Rocksteady, Krang (Big Toggle), Krang (Little Toggle), Bebop, or the common Foot Soldier. These character costumes can either be purchased individually (for $1.99) or all together with the "TMNT Villains Pack" (for $5.99). Of course, if your tastes run more towards the hero side of things, you can still pick up Leonardo, Michelangelo, Donatello, Raphael, or Master Splinter costumes, which were released last fall. LittleBigPlanet 3 is available now with 4-player local, online, and combo co-op on PS3 and PS4. Page created in 0.5647 seconds.